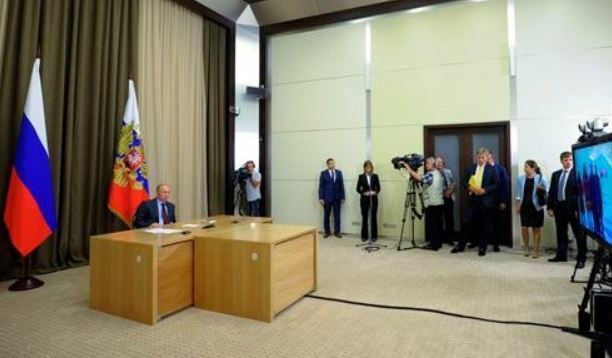 Putin, skyping his friends in Siberia. This is a science blog, loosely related to plate tectonics and The Mountain Mystery book, not a political expose, so I will move along to the science of oil and how it ended up so far north. 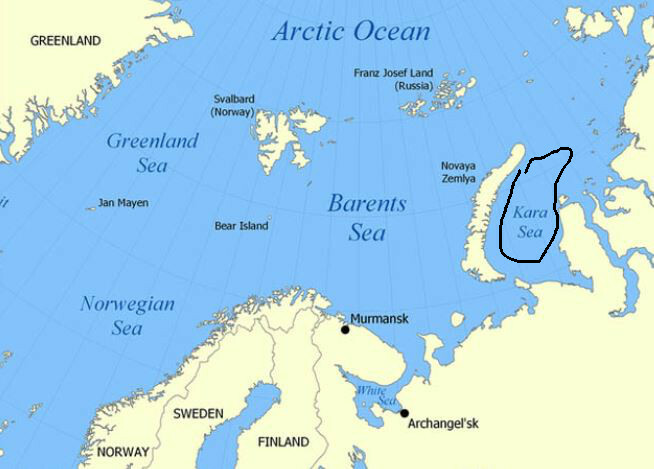 Hydro-carbons don’t form in the conditions now extant in the Kara Sea where this exploratory well is drilling. Hydrocarbons form in shallow seas where silt (usually from river deltas) locks algae and other microscopic bits of organic material in oxygen-deprived slumber. A few things you can be certain about oil formation are that tiny creatures by the quadrillion need to grow, capture sunlight, convert it into carbon, and then die and not rot (as such things would do in oxygenated environments) but instead fall into an anoxic-silty soup. Today, similar environments (where little creatures are dying and accumulating) are found in the rift of the Gulf of California (between the Baja and the main part of Mexico), in Utah’s Great Salt Lake, and in the Black Sea. These are temperate (or warmer), silty, shallow environments. But the oil in these three places isn’t yet automobile-ready. It will take at least ten million years for it to mature and then migrate into traps. 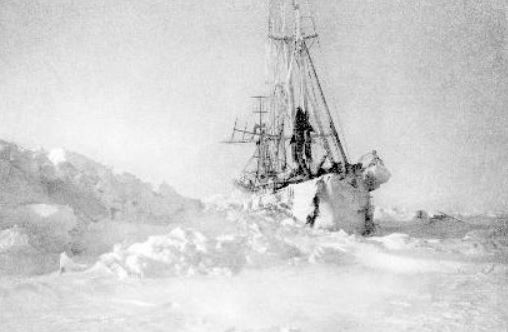 Similarly, the location of billions of tonnes of hydrocarbons north of Siberia, at about 77 degrees latitude, would not be there without drifting continents. The oil originated in quite a different environment, then rode a traveling plate north towards Santa Claus. The Rosneft-Exxon oil field in the Kara Sea faces 300 days of ice each year and a chill in the air as cool as minus 50 every winter. It is not oil-creation country. And it is barely oil-harvesting country. According to Rosneft’s website, there are 150 billion barrels of oil and gas locked up in the rocks below the Kara Sea. The well being drilled will cost $700 million dollars, infrastructure and ice breakers not included. Its first target, drilling today, is a 550-metre- tall structure hidden under 81 metres of water, a hydrocarbon trap estimated to hold 10 billion barrels of oil. This is the motivation for Russia to cooperate with Exxon, at least until the Russians gain the expertise they need to go it alone. This entry was posted in Exploration, Oceans, Plate Tectonics and tagged oil industry, Russia. Bookmark the permalink.